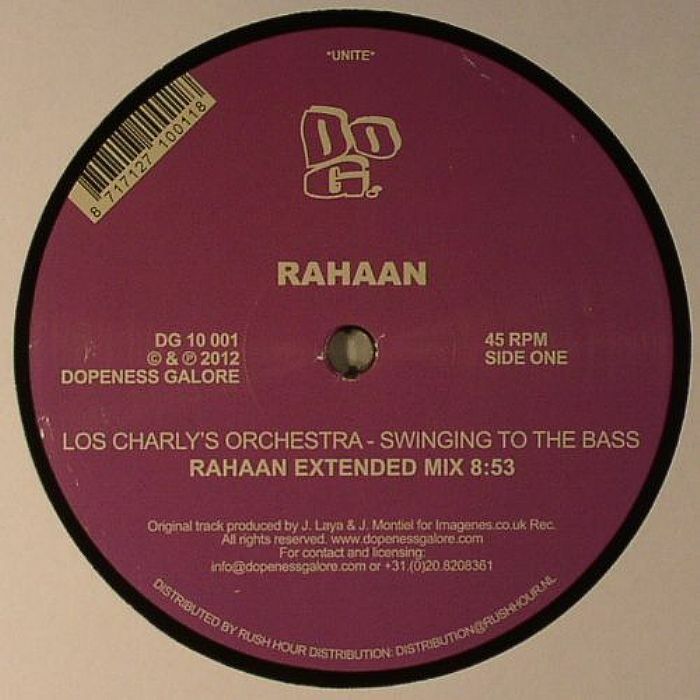 RAHAAN/LOS CHARLY S ORCHESTRA Swinging To The Bass vinyl at Juno Records. The music of London based collective Los Charly's Orchestra dips a 70s boogie sound with a Latin touch, and lends itself well to the exemplary mixing talents of Chi-town don Rahaan, who remixes "Swinging To The Bass" for Dopeness Galore Holland. 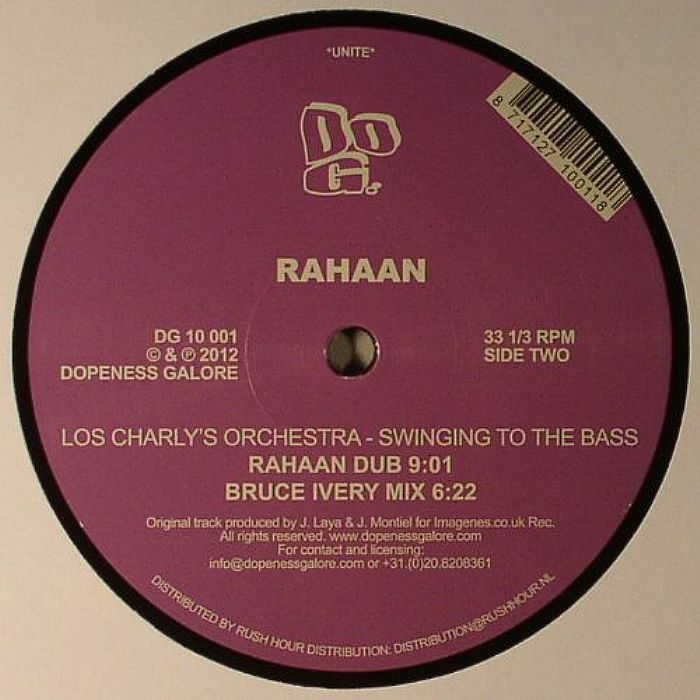 Rahaan captures the funk that lies at the core of this track, using it as the base on which to manipulate and twist the music. It's a light footed disco cut, with a hook that slices clean through the spattering of jazz-licked murmurings. The dub mix overwhelms you with a driving bass line and tinkling piano solo, with Rahaan borrowing each epic element and composing a fresh and lively sound. Do check. Dicky Trisco, Athens Of The North (Fryer), Jazzadelia, Mehdi, YAM WHO?, Superbreak, Juno Recommends Broken Beat Nu Jazz, Ra Malone, I Love Disco!, Woody Wood Jr.